I recently attended Dream University. Last summer I registered for the Certified Dream Coach® program. I was very surprised to learn a deeper and stronger definition of integrity. 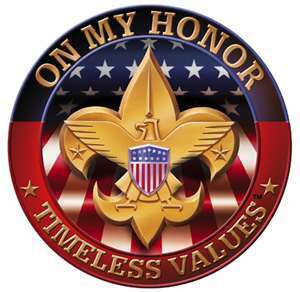 Being an Eagle Scout, I have always tried to do my best to live in honor and to be trustworthy. What I learned at Dream University was a new level. I never thought that a personal commitment to myself, was an agreement to myself. For example, when starting out the New Year, we make a New Year's resolution. Something like "I'll wake up early and run for 30 minutes on a treadmill." That thought is an internal agreement with yourself. So when the alarm clock goes off in the morning and the snooze is pushed several times and eventually the OFF button, you just broke your own agreement with yourself. I learned that after many years of breaking these personal agreements, even your own deep beliefs become to learn that you can't trust yourself. What an Ah-ha moment I had that day. Another level of personal agreements we have is to God. how many thoughts have we had and have told ourselves that we would do something that involved communication with God...and then we don't follow through. It got me to think about my trustworthiness. I know I am very good on the external agreements. Doing what I say I am going to do...never thought of it from an internal perspective and from a spiritual perspective. WOW!